Get after this one! 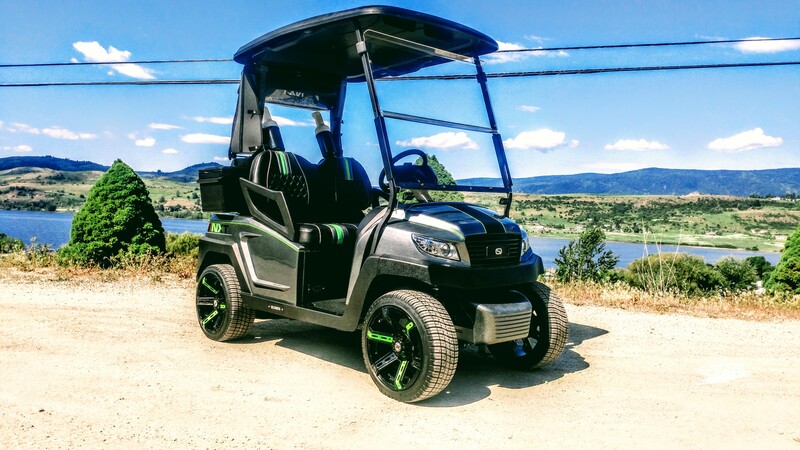 This is one amazing SC Carts NXT and it is ready to haul you and your family just about anywhere you want to go around the resort! You don’t see to many of these super cool stretch carts around but we are going to be changing that. Have a look at this cool monster! Lots of panels in the booth for this big cart! Next came this super cool blue and clear coat! The SC Drive poking through the pack! Although our factory 12″ NXT rims looked great, these 14’s take it to the next level! A couple custom touches and this already one of a kind steps it up again! Big enough for you and your friends but still small enough to tour around the resort! What can we say, this NXT-F4 turned out awesome! We love our NXT-F4’s and this one really turned out great, get you some of this! Check out our Facebook page to get all the details! ← Predator Ridge Precedent Make Over!